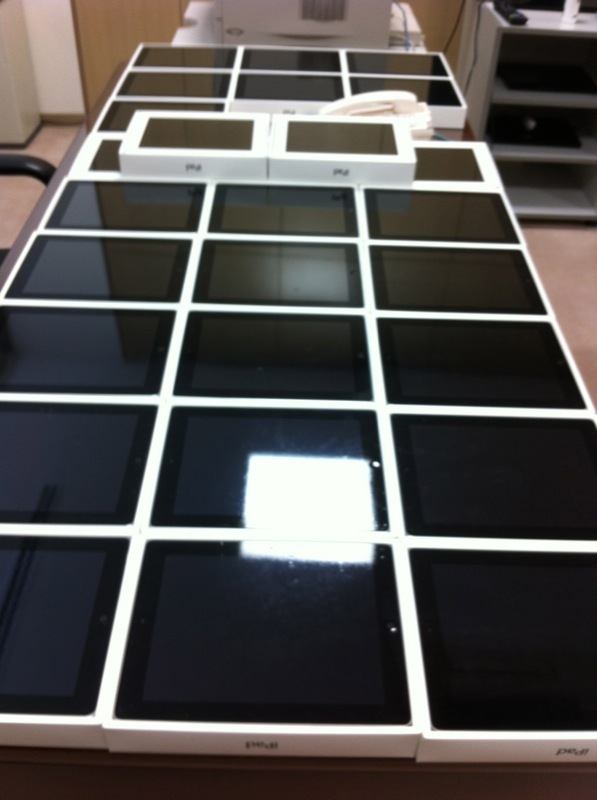 We recently purchased 40 iPads for our university Media Center (a.k.a. ‘the library’), and I have been tasked with their management. We only have 30 remaining on our campus, as two sets of five were sent off to our other campuses, but that is still plenty for a small school like ours. 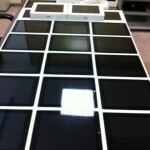 We currently have ten black third generation iPads, fifteen black iPad 2s, and five white iPad 2s. While I have been working with one of the third generation iPads for the past week in order to select apps and such, I have quite enjoyed the natural feel of a naked iPad. I have always been a bit odd about protecting my screens, and actually went as far as to use my iPad 2 in the film it was shipped in for a few days while waiting for my screen protector to arrive in the mail. 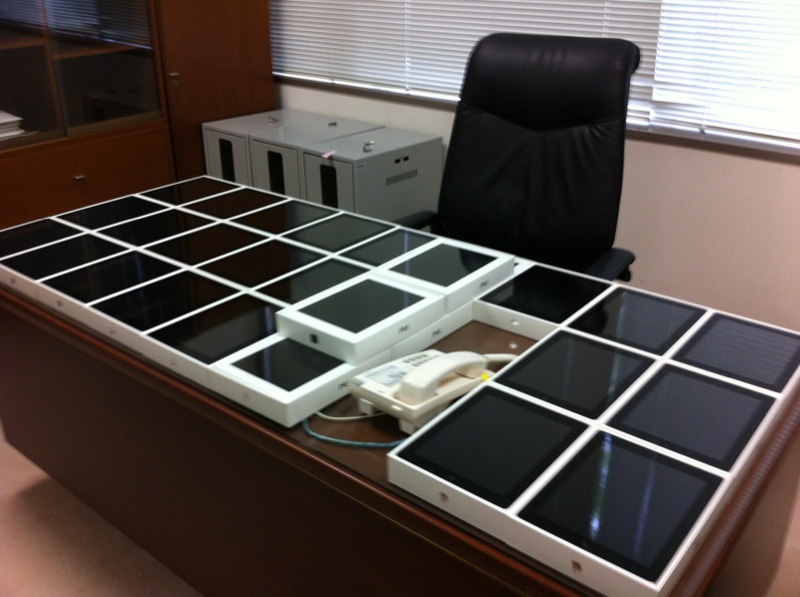 However, while I have been quite cautious with the screen, I do not feel as confident that all the users who follow me will be, so I spent my morning installing Zagg screen protectors on 30 devices. While the Zagg protectors were a bit expensive, especially considering we needed to order 30 or them, I chose them for a few important reasons. Lifetime Warranty (I have only had to make use of this once for my first iPad, and Zagg responded quickly. 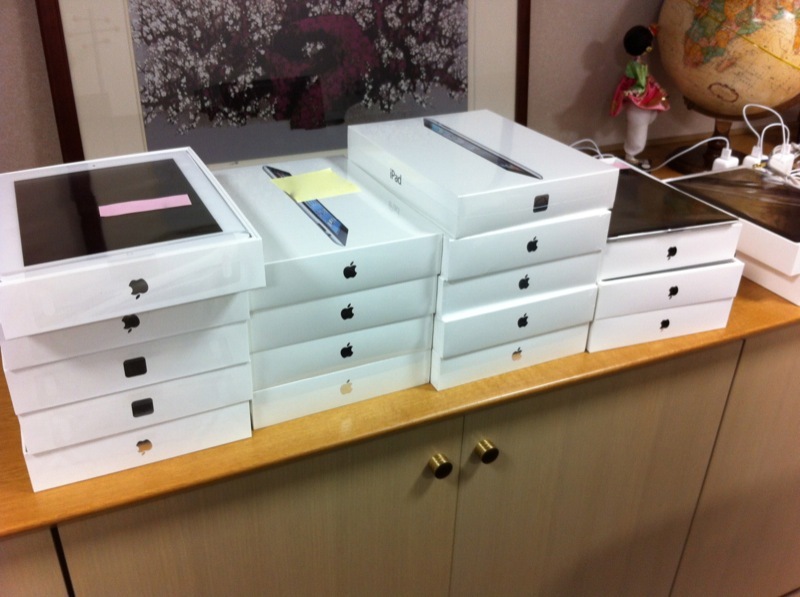 They won me over with their quick response, and I have used them for all my iOS devices ever since. This is something that I have heard said in Japanese, and back home in the states as well. Sure, it would have been cheaper to buy a stack of 500 yen screen protectors, but the replacement costs would add up quickly. *For the record, I have no financial interest in Zagg. 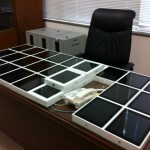 I just think that it was a good choice for our situation considering the number of people who will handle our devices. Posted on May 25, 2012 by Steve Henneberry. 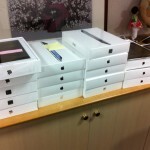 This entry was posted in iPad Management. Bookmark the permalink.